Beautifully decorated east end townhome design property is waiting for you in Ocean City! 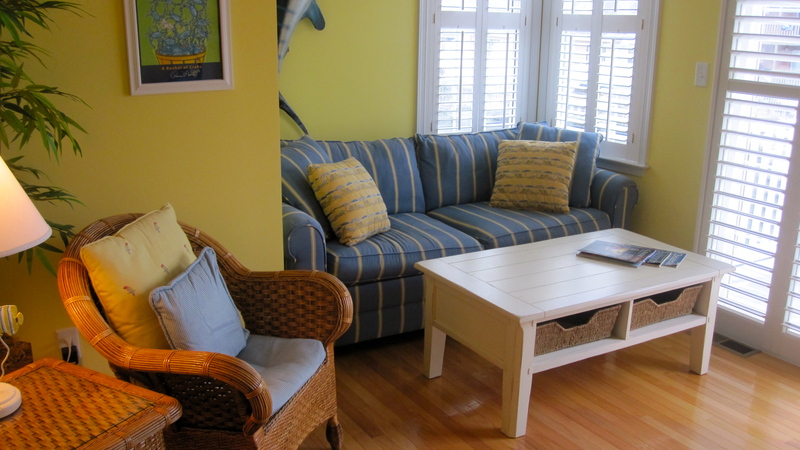 Bright and beachy décor with custom paint, plantation shutters, ceiling fans and easy to care for and attractive flooring that includes both hardwood and ceramic tile. 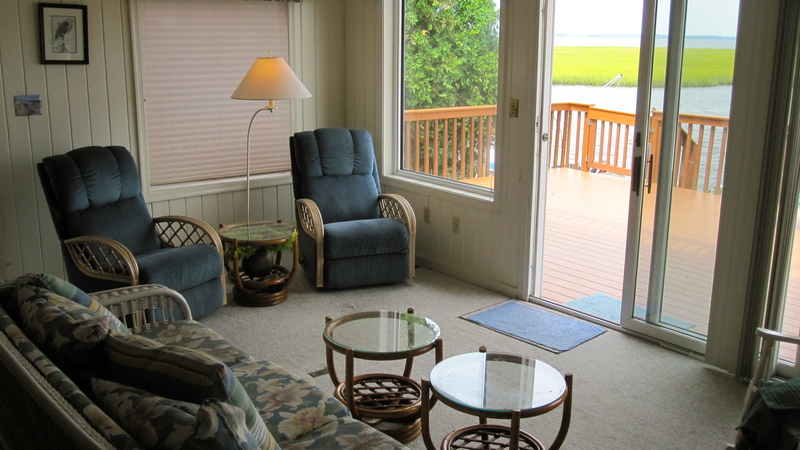 The main floor living room boasts an open layout and views of the water. On chilly nights, invite guests over for a relaxing evening around the fire, made possible by the pellet stove with a mantle. 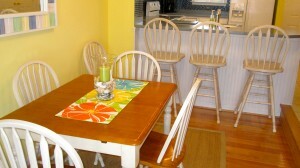 Enjoy your special creations with your guests in the accessible dining area. 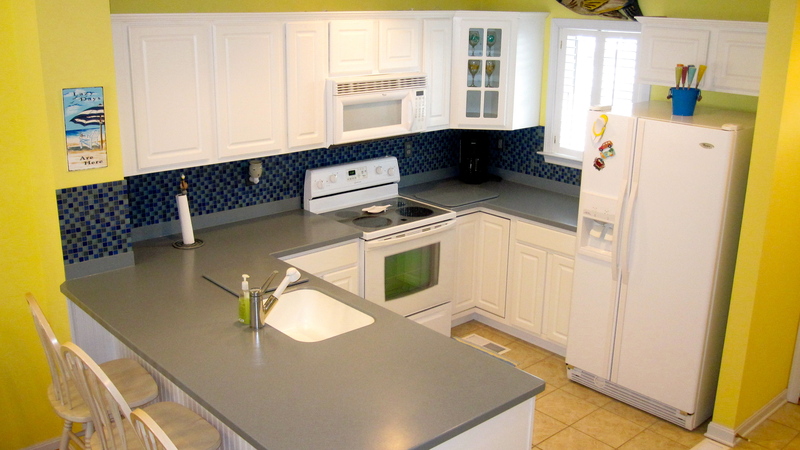 You are sure to appreciate the spacious modern kitchen with a huge pantry and a breakfast bar. 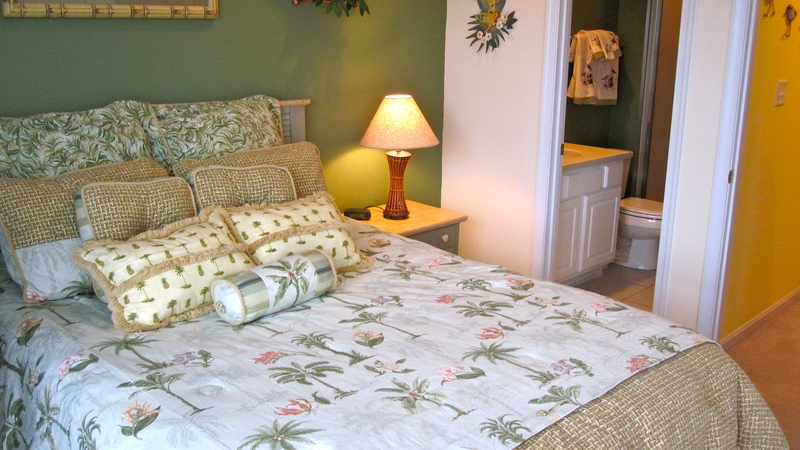 Comfort and space are featured in the three generously sized bedrooms all of which have a private bathrooms and an abundance of closet space. The amazing views of the water can be viewed from the master bedroom and third bedroom as well. 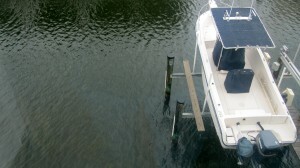 You will never tire of your waterfront backyard, boasting your own boat dock with a boat lift. 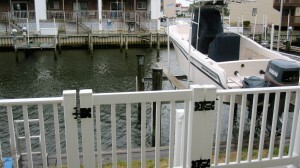 This sale also includes an area where you can add a second boat dock. For relaxation, you can unwind and take in the scene from one of your waterfront southern exposure balconies with low maintenance synthetic decking. Synthetic decking is also on main common deck areas. This home is immaculately kept, right down to the one car garage with remote and keypad entry, washer and dryer area and two zone heating and cooling system. This listing will surely not last, no detail has been spared! This home is an absolute gem! 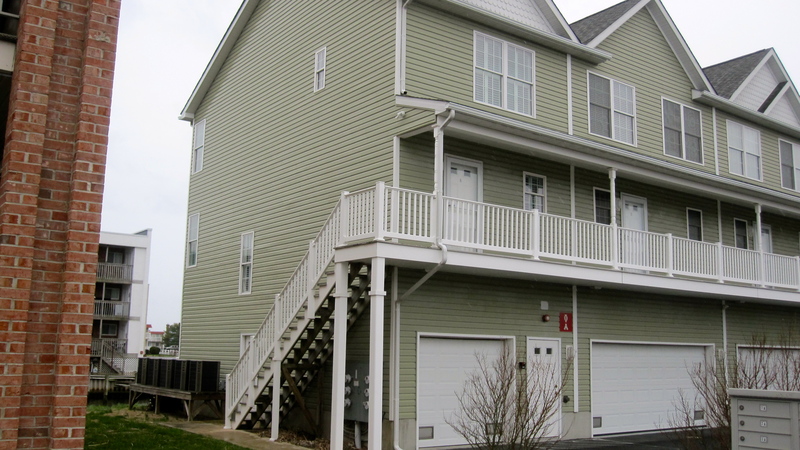 For More Information on This Listing or to View All of my Listings, Go To Ocean-CitySales.com – Contact Kevin or Monica Today at 410-723-6200 With Any Questions or to See This Home! ← Just Listed: 103 Skyhaven – Perfect Beach Getaway!